The Children's Bureau, five-year, federal Regional Partnership Grant (RPG) allows us to work with numerous community partners in equipping participants and their families as they treat substance abuse. It also allows us to preserve the family through various community supports, such as securing employment or housing. Many families in Southwest Missouri (Greene, Barry, Lawrence, and Stone counties) have substance abuse challenges impacting the well-being of their children. Without intervention, these children are at risk of removal from their home. Once children have been taken out of a home, families often face a difficult road to reunification. Through a federal grant, PFH, in collaboration with many public and private partners, is providing much-needed assistance to these families. Many family and substance abuse challenges are compounded by factors such as unemployment and inadequate housing. If needed, we link families to resources that lead them to a more secure and safe home environment. We are also able to connect parents to employment services which include preparing for (creating resumes, interview skills, etc. ), obtaining and maintaining jobs in the community. 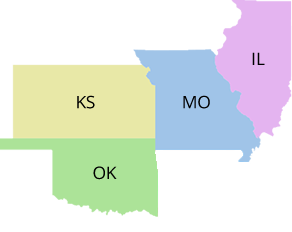 Referral agencies include Missouri Children's Division, Juvenile Offices, primary care physicians, local drug courts, as well as private agencies who are already working with families in need, or are in a position to determine critical needs as they occur. PFH is the recipient of the Regional Partnership Grant (RPG) by the office of Administration on Children, Youth and Families Children's Bureau of the U.S. Department of Health and Human Services. We are working with a diverse group of public and private agencies to achieve safety, well-being, and permanency for children who are living in homes impacted by substance abuse. Based on the SNAP Approach (Strengths, Needs, Abilities, and Preferences), this model utilizes flexibility, creativity, and collaborative expertise to build integrated solutions directed by the family's voices. SNAP employs evidence-based practices to support families and children. The five-year grant will ultimately serve 400 families (80 per year) with children at risk of removal or who have been removed from home and the goal is reunification. Evaluation is key to understanding what does and does not work in achieving success. In this system of care approach, both the quality of collaboration and the success of families in achieving safety, well-being and permanency for the child are measured and compared to families in Jasper, McDonald, and Newton counties who do not have the RPG services.